Another day, another “leak” of what appears to be Samsung’s upcoming Galaxy Note 9 smartphone. It’s natural Samsung would be more than willing to express excitement for its sequel to the Galaxy Note 8—a phone that didn’t exactly take the world by storm. But for this device to so thoroughly and steadily leak prematurely, just days before release, is starting to feel a bit... off. Product leakage happens to the richest of companies, yet we can’t help but wonder: What gives, Samsung? This leak, this time in the form of a promotional video of the phablet, shows off the smartphone as only a computer-generated and professionally produced ad can: With neat special effects and a completely sterile void in which to show off the smartphone. The video doesn’t reveal anything particularly new or exciting, though. 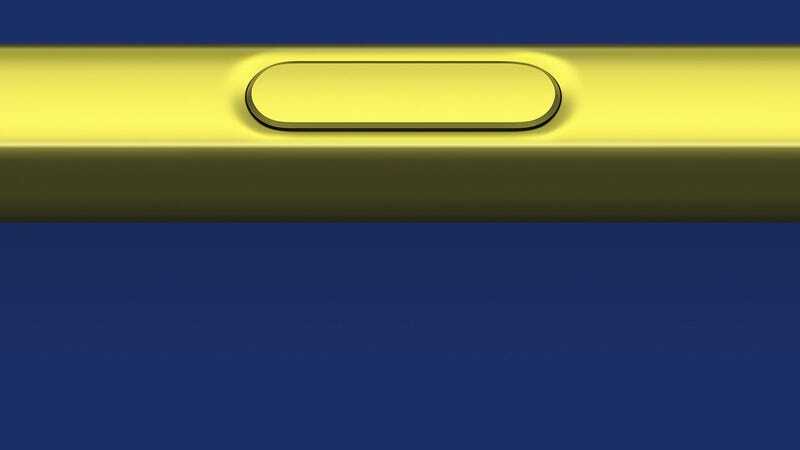 It’s got the pretty standard spiel that accompanies every big phone launch (something something “all new,” something something “powerful”), along with some beauty shots of a bright yellow “all new powerful S Pen” sliding in and out of the Note 9. Samsung’s been teasing this smartphone since June. By now everyone remotely interested in the device already knows about its trio of upcoming colors, its boring design, and its larger, 6.4-inch screen. Even an upcoming Samsung accessory was seemingly leaked by Amazon earlier this week. Heck, someone “accidentally” published a Note 9 pre-order page for New Zealanders yesterday. At this point, all these “accidents” are starting to make the company look like it’s desperate to keep the headlines coming. The only thing left for Samsung to do at this point is to ship the damn things to stores so people can buy them already. You’ve got a week of waiting left, however, so before you commit to paying what’s rumored to be the same outrageous price as the Note 8, maybe look into something a little less expensive?